When in Gambia’s capital, museum hopping is an excellent way to fit in some learning with leisure. The National Museum in Banjul is where you’ll get to explore some of the most intriguing aspects of Gambia’s art, culture, and heritage, and not feel an ounce of boredom. Opened in 1985, the National Museum has several artifacts, documents, and exhibits which will give you an insight into the way of life of Gambians. The museum is especially good for children since they also have special activities for the kids. You can explore different levels of the museum for its cultural displays and also the temporary exhibitions that the museum hosts from time to time. 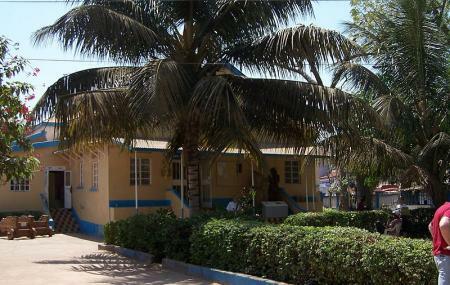 The National Museum of the Gambia. Located at the Capital City, Banjul Island. One of the best places to know the history of the Smiling Coast of Africa. A must visit place.